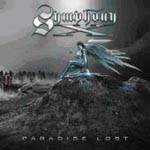 After 4 years SYMPHONY X return with their latest masterpiece ICONOCLAUST! Special Edition - digipak + bonus DVD! Special Edition CD + bonus DVD!